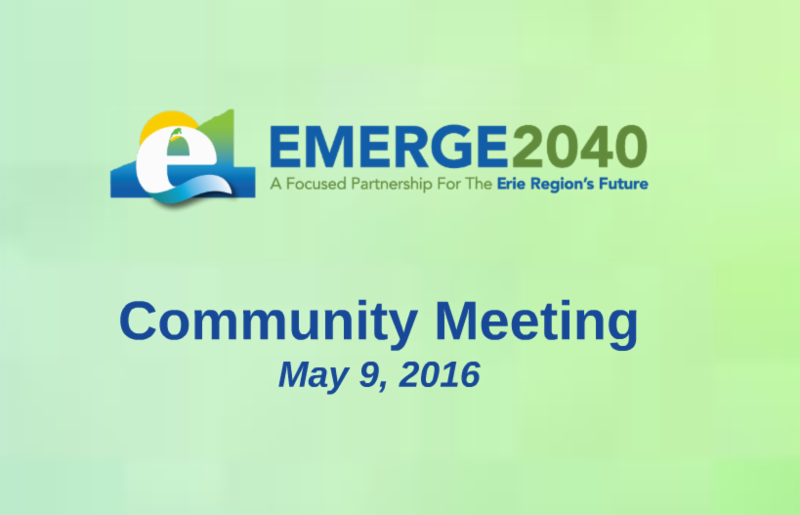 On May 9, 2016 the Erie community gathered to celebrate progress made over the last year on achieving the goals set forth in the Emerge 2040 plan. Over 250 people from across Erie County gathered at the Ambassador Center for the event, which also included remarks from the Honorable Dennis M. Davin, Secretary of the Pennsylvania Department of Community and Economic Development. 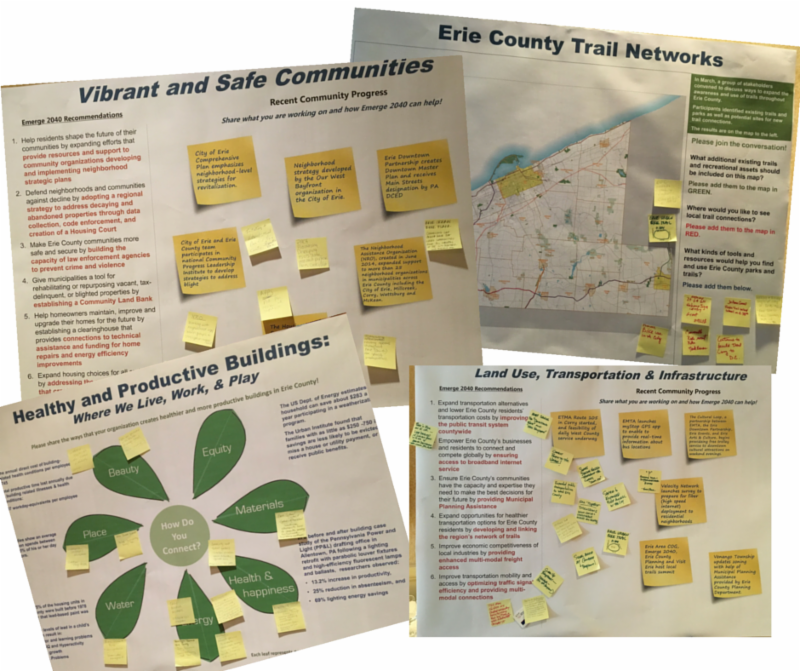 Projects, initiatives, and organizations from across the Erie region were highlighted over the course of the program presented by Emerge 2040 Executive Director Anna Frantz. Using the hashtag #Achieve2040, participants live-tweeted the event as it was in progress, bringing the community together on social media in an interactive manner. The meeting also marked the launched the digital timeline, a tool which is accessible online and open for public contribution. Visit emerge2040.org to contribute. Following the conclusion of the presentation, participants were able to view poster boards bearing the Emerge 2040 goals, and were given the opportunity to add their own projects to the board. All of the public input collected can be viewed here. For more information, you can view the full presentation here and access local news coverage of the event here .